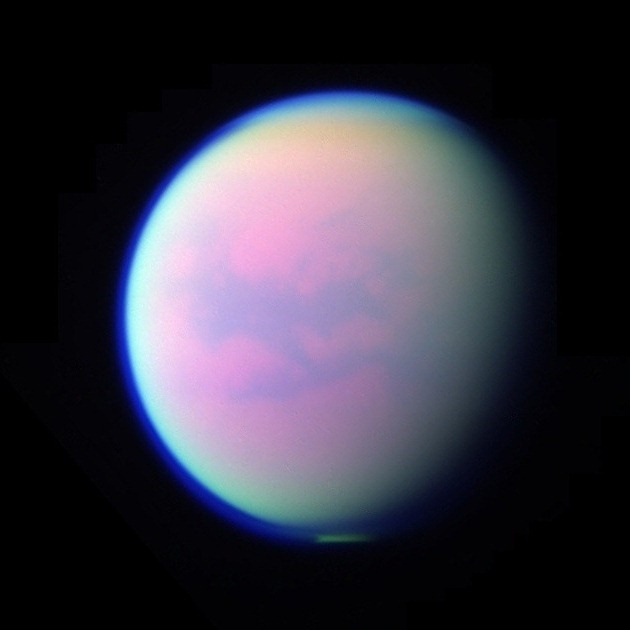 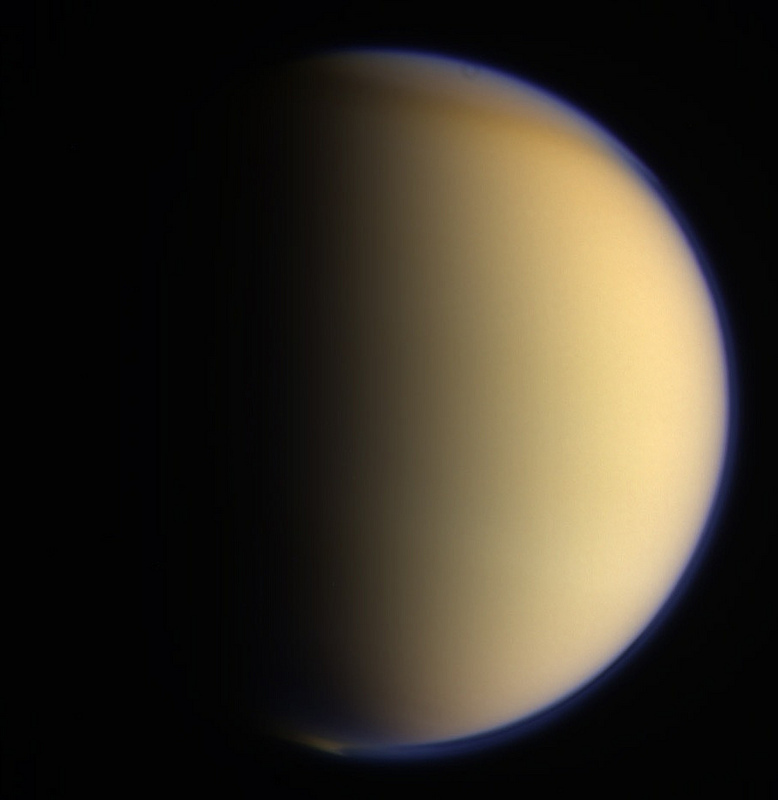 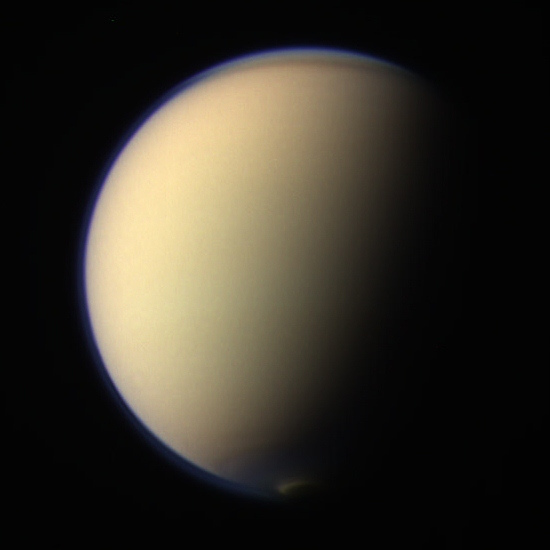 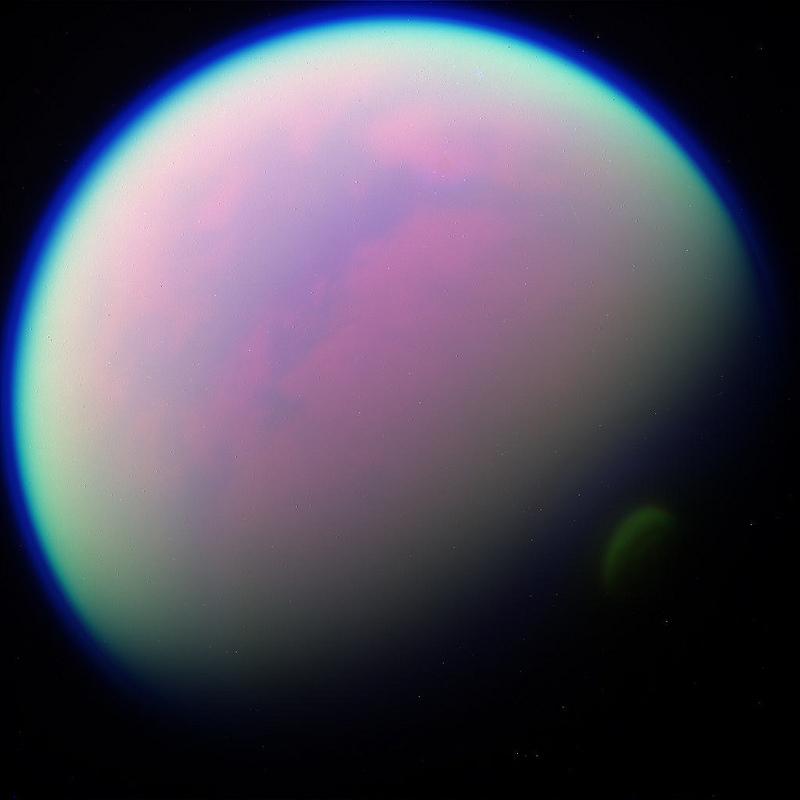 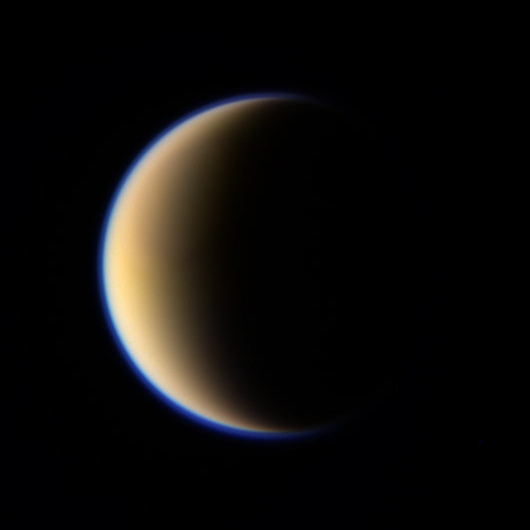 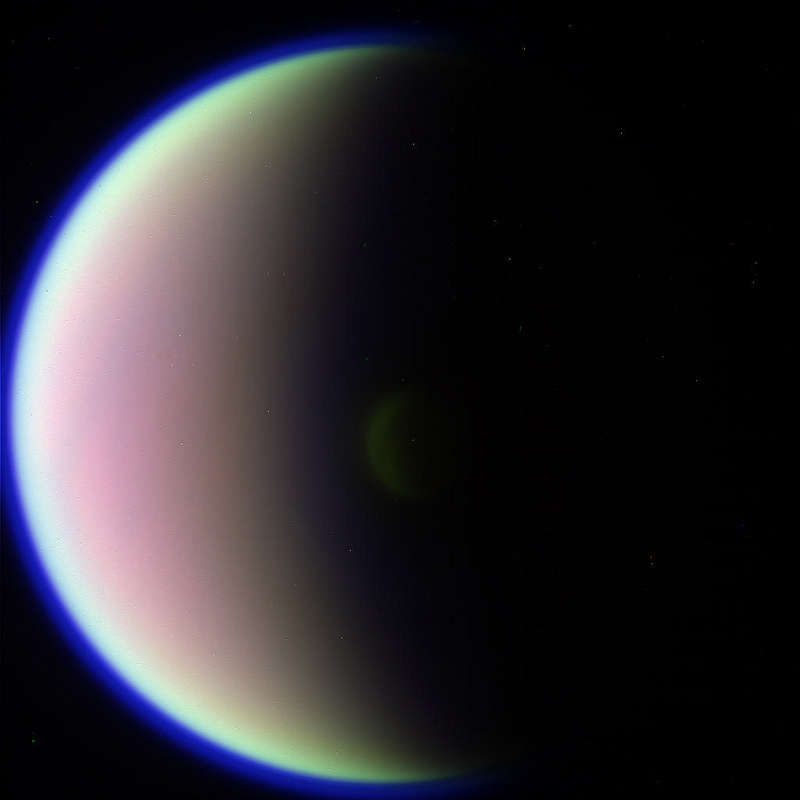 RGB color, RGB false color, Infrared, Blue & Ultraviolet Light highlighting geological & atmospheric properties like Titan’s vast dune desert, in Belet (also known as the ‘sand sea’). 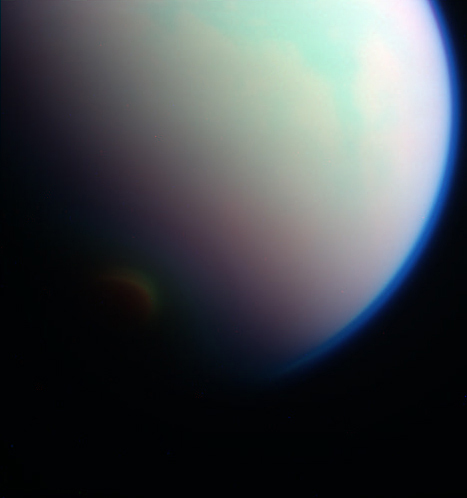 Or its methane band visible in blue. 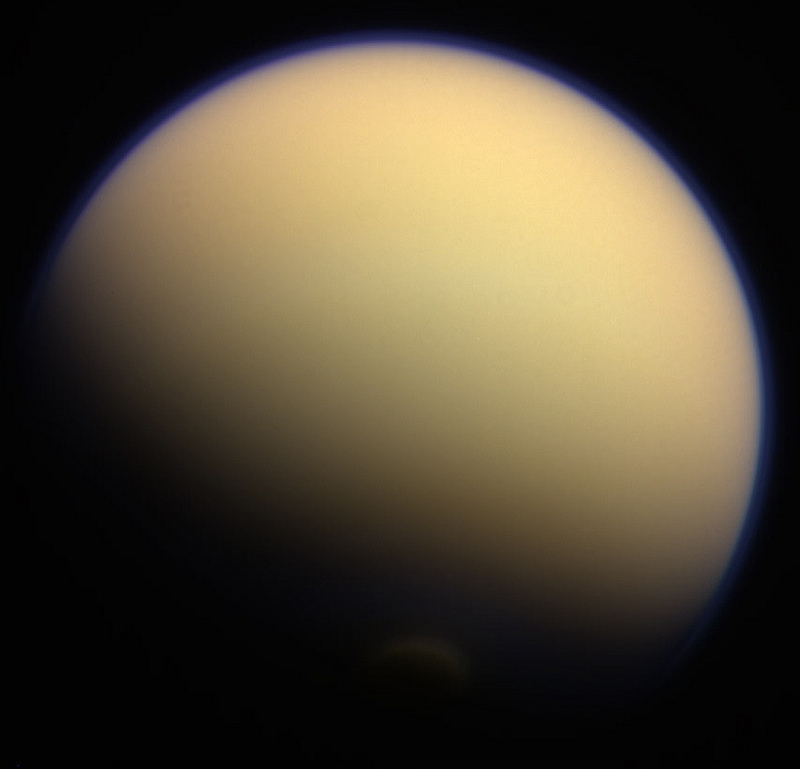 These filters are mostly used to highlight information about an astronomical body’s chemical properties not visible to the naked eye."